Little Boy Blue is all grown up – and he’s not so little anymore! 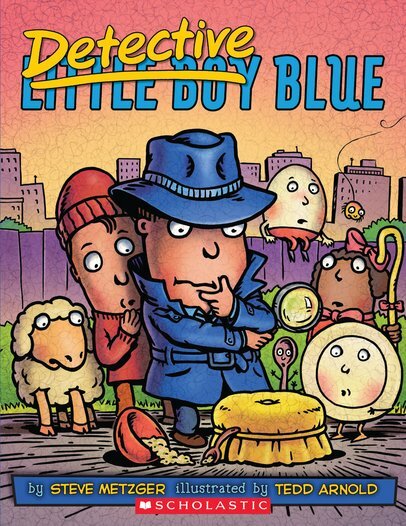 He’s Detective Blue, and he’s on the hunt for a missing Little Miss Muffet. Where can she be? Join the search as Blue tries to crack the case, helped by your nursery rhyme friends. Did anyone see anything? Well – not Humpty Dumpty. He dozed off tanning his egg-head. Then Mary’s little lamb caused a distraction, trying to sneak into school… A magical mystery tour full of fairytale fun. Spot all your nursery rhyme buddies!